A timeless American favorite and a floor that will last a lifetime. 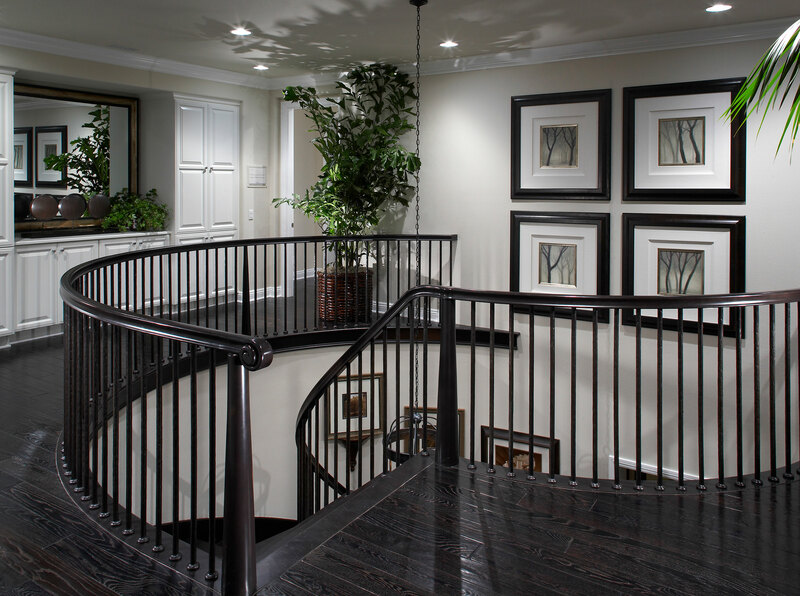 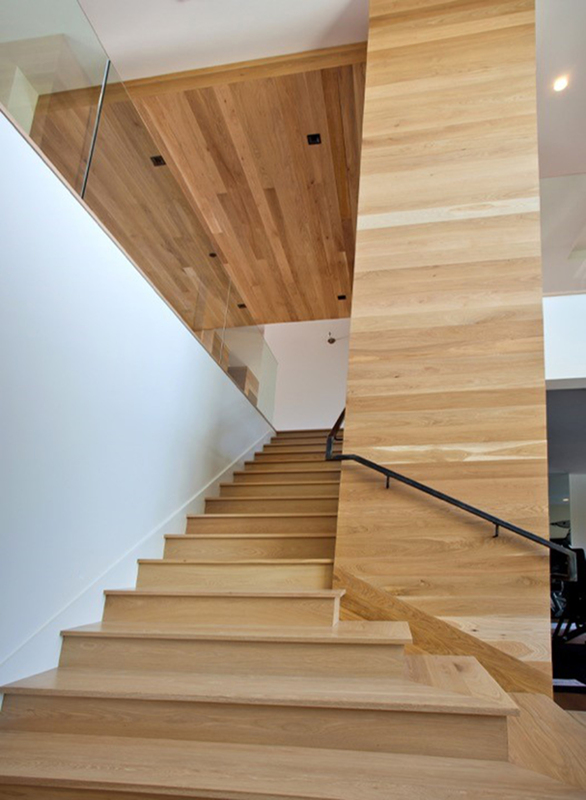 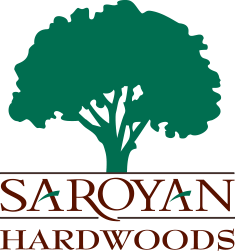 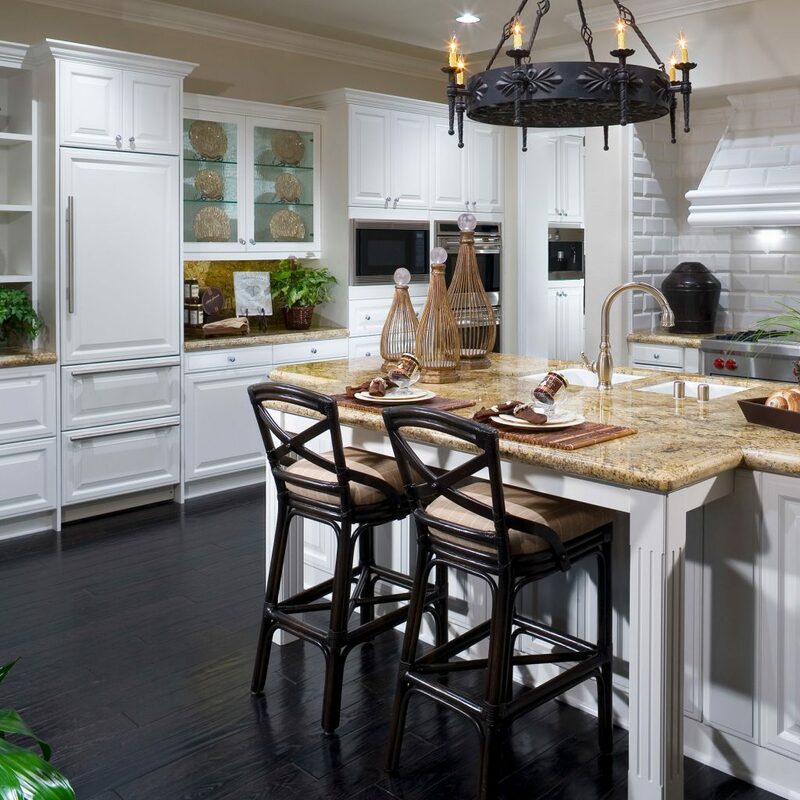 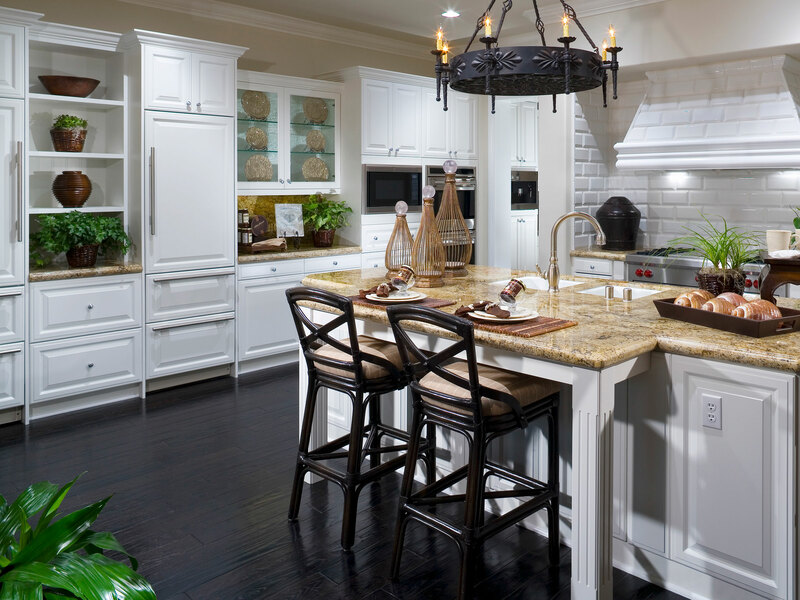 For elegance and beauty in traditional or contemporary settings, few hardwoods are as versatile as White Oak. 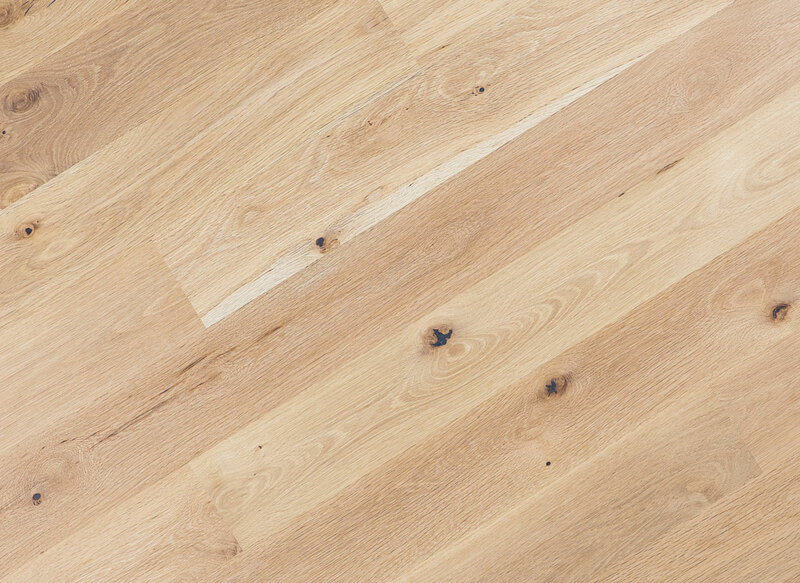 This timeless American favorite has graced exquisite floors throughout the world and is prized for its re ned grain and durability. 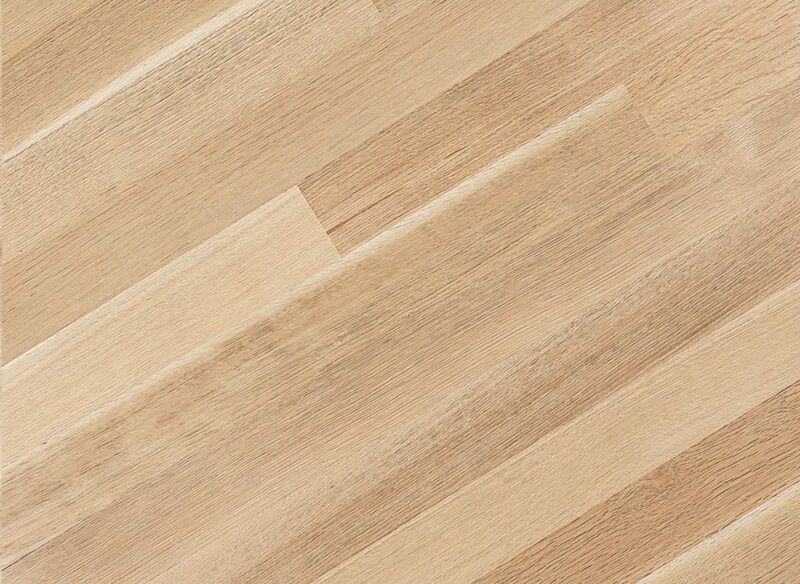 Known as the finest of the Oaks, it has graced courtrooms, government buildings, and fine antiques for centuries. 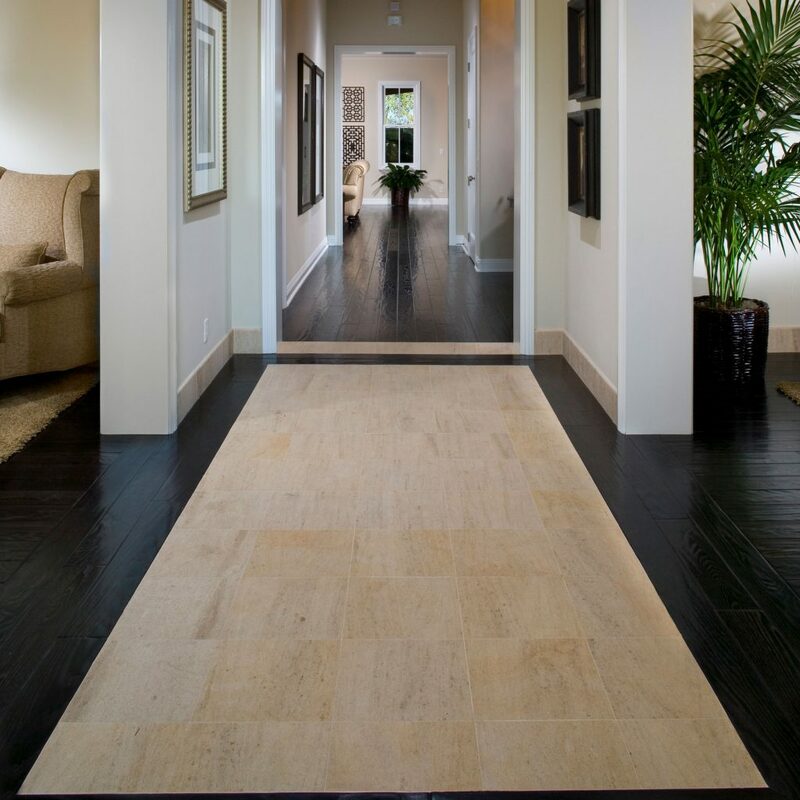 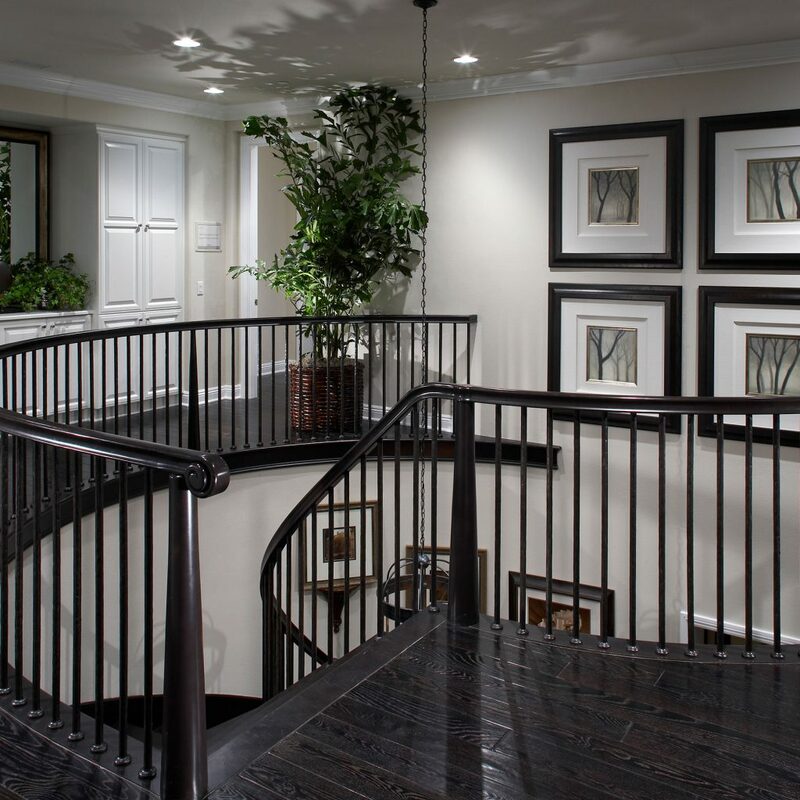 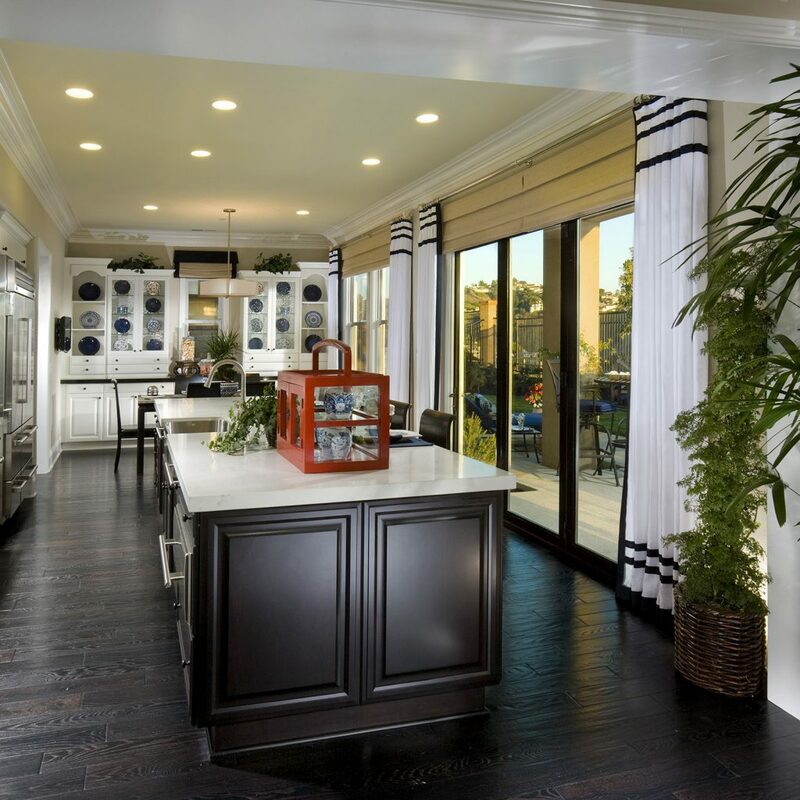 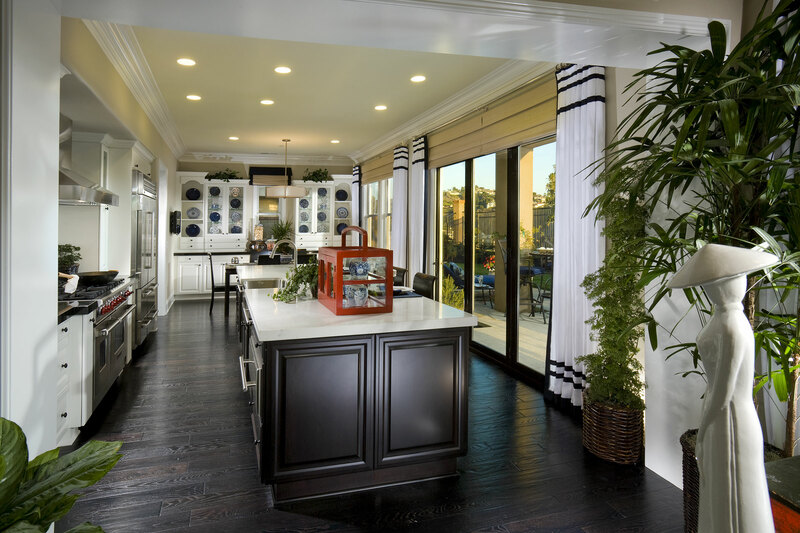 It is an excellent flooring material that will allow for a variety of design options. 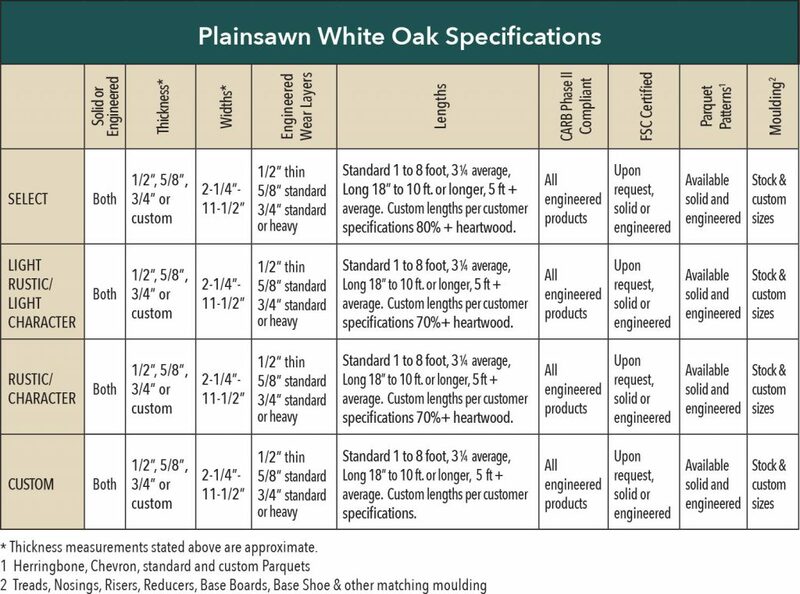 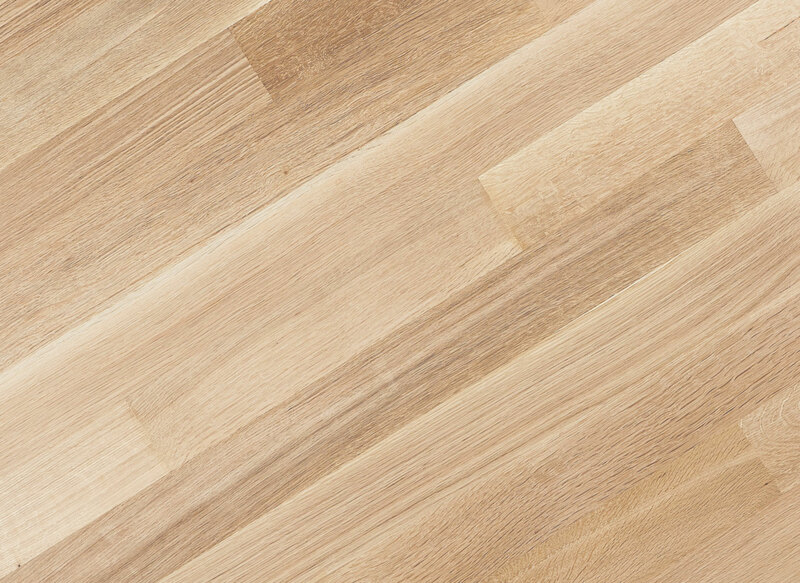 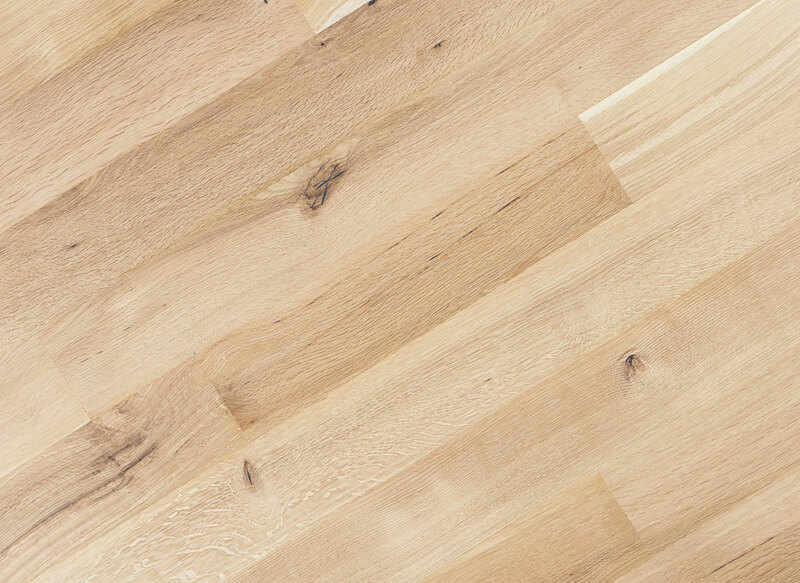 White Oak features a distinctive closed grain pattern that defines the specie with color that ranges from light, honey colored sapwood to rich golden brown heartwood. 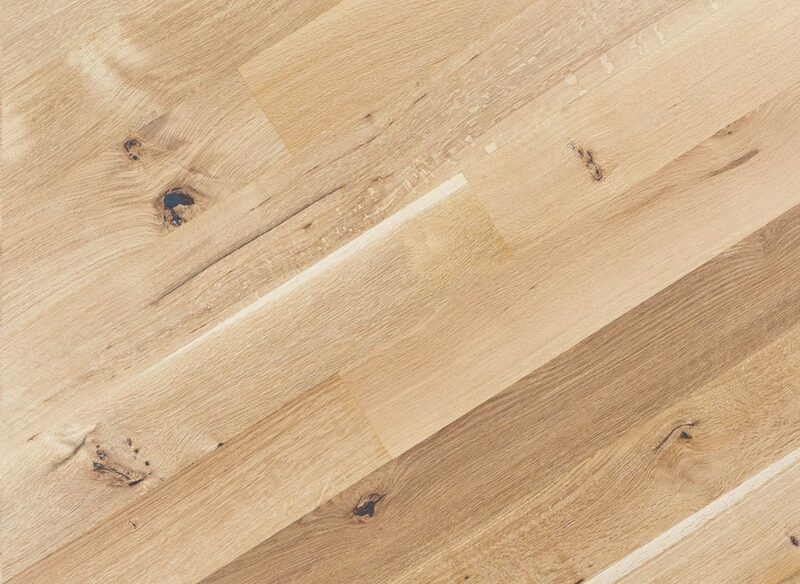 White Oak is truly beautiful with a clear finish or can be stained to enhance its unique appearance. 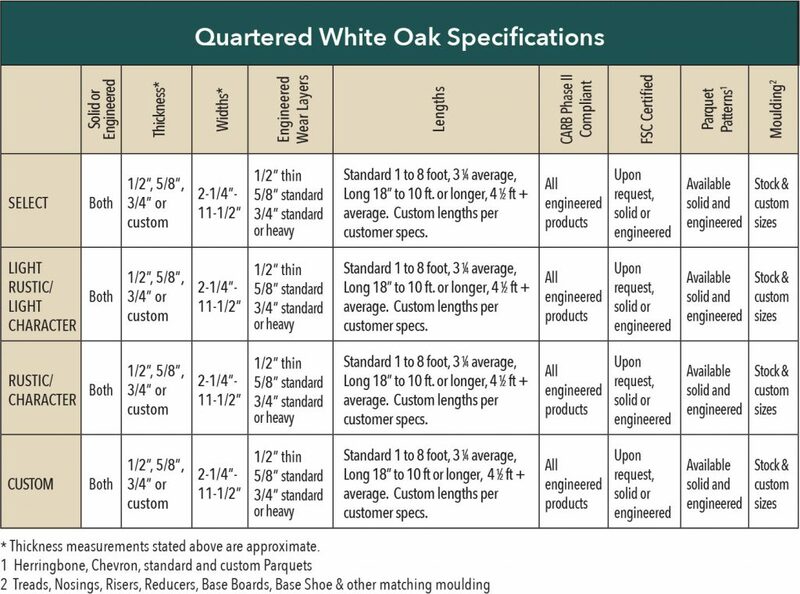 Beyond its surface beauty, White Oak is one of the most stable and durable of all the Oaks and is a floor that will last a lifetime. 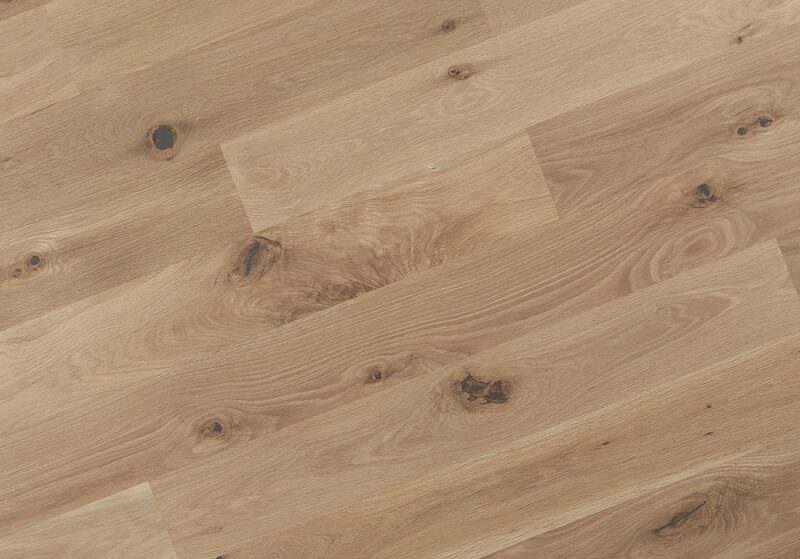 Stable and durable, Rift and Quartersawn Oak radiates elegance and beauty. 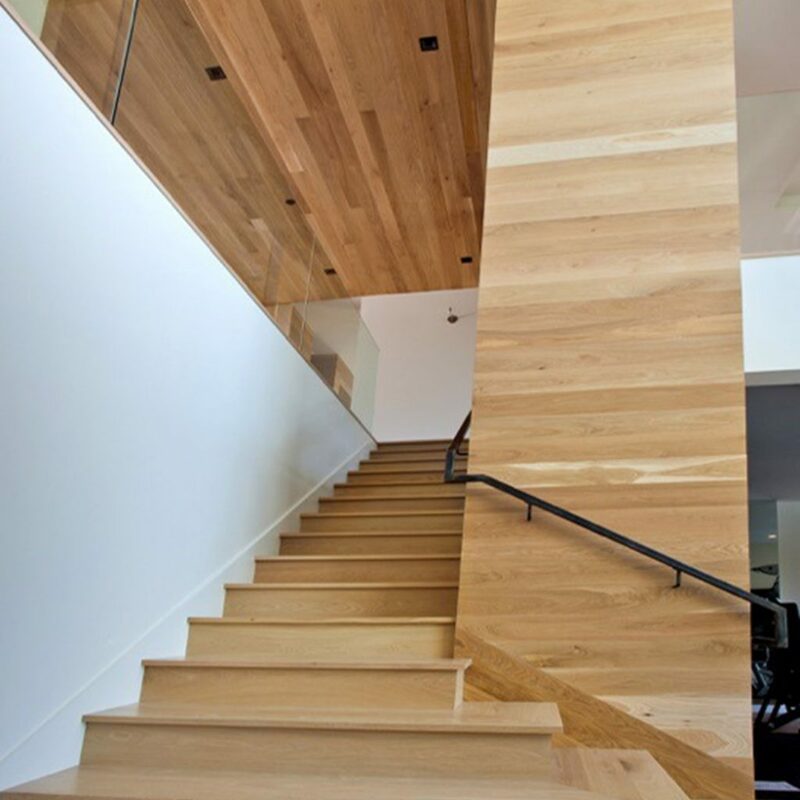 These noteworthy qualities have made Rift & Quartersawn White Oak the floor of choice for prestigious homes, palaces, and boardrooms throughout the world. 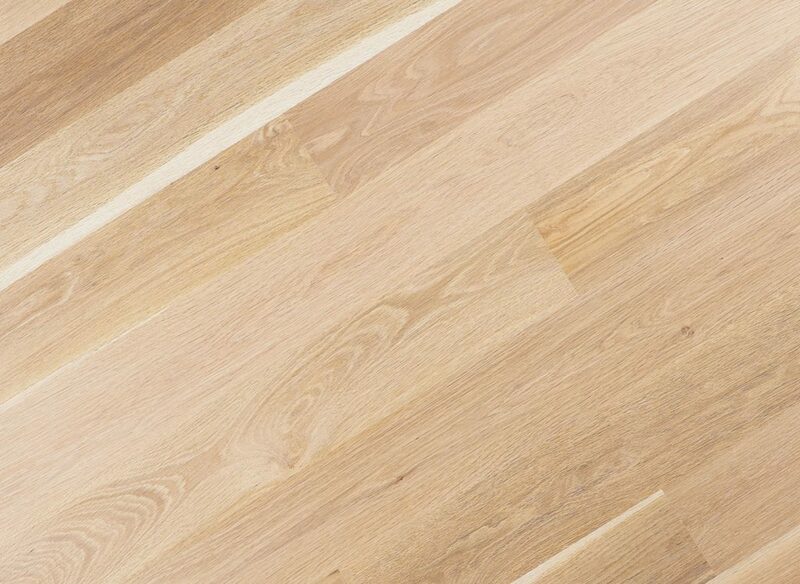 Rift Only is produced in much the same way as Quartersawn White Oak but is sawn at a slightly different angle to the growth rings of the tree. 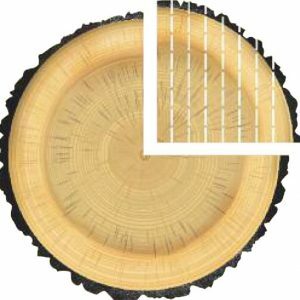 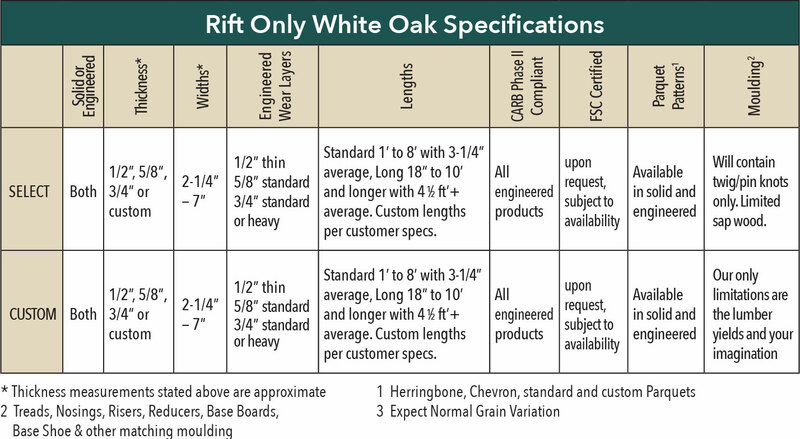 As a result, Rift Only exhibits less figuring while maintaining the same straight grain appearance as Quartersawn. With its beautiful and desirable uniform appearance, Rift Only White Oak floors are among the most exclusive, premium flooring products available.